Is that each do his own part ..."
When tempted to walk the edge again ..."
Jonathan Decker is a licensed marriage and family therapist offering face-to-face and online webcam sessions. He provides Hollywood film reviews from a LDS perspective at Mormons at the Megaplex and is the co-host of the KJZZ Movie Show. His book 250 Great Movies for Latter-day Families is now available in paperback and Kindle . 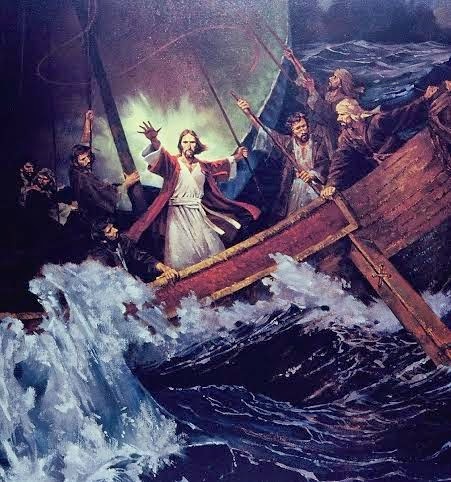 Image credit: Stilling the Storm, Ted Henninger, LDS Church Media (used with permission).